Tony wrote; "... I recently came across an old photo of some pupils at Lydney Primary School which you may be interested in. The date June 1966 is written on the back. I have no memory of the photo being taken or why we were chosen to be in it". Eric Marshall added: "... I certainly remember Mr James. I went to the junior school on Naas Lane, but it was much earlier (1957-1958). Was he there then or did I see him at some other school? ... I remember a Mr Wilkins had a grocery shop in Newerne St when we lived above Lennards Shoe shop. ". 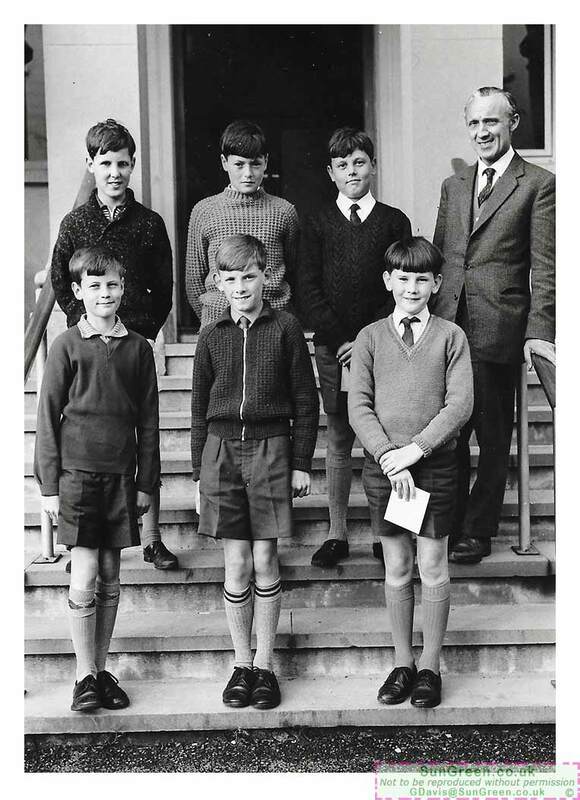 Mike Edge added (December 2017): "... Lovely to see this photo, I was in the same class as these lads, but I too have no idea what it was about. Great to see old friends, though, when we were 11 years old! ".